Politicians aren’t the only people who play politics. It happens wherever both truth and results take a back seat to territorial domain, especially when the ability to sway public opinion hangs in the balance. A second article that is critical to MMS has been written by Deborah Dupre and published on Examiner.com. It demonstrates that both she and the Gulf Coast Barefoot Doctors appear more concerned about territory than helping people choose the most efficacious methods to address their growing medical conditions. The article, titled, Barefoot docs prompt Kindra Arnesen to slam MMS, tells of how the medical outreach group was offended when high-profile people, particularly Gulf Coast advocate, Kindra Arnesen, have not supported or advocated their work, choosing instead to ingest MMS. Citing estimates by Dr. Rodney Soto that up to 40 million people who live within 1,000 miles of the disaster site have been poisoned by the unprecedented chemical infusion, she writes that the only viable options are to relocate or go on a long-term detoxification program. What was not said is that the public should go on the long-term detoxification program with the products that have been assembled and offered by the Gulf Coast Barefoot Doctors. Why else would they be offended at someone choosing something else? Perhaps it’s the stranger from afar connecting with a local, coupled with the “outlaw” reputation of MMS. It may also be that their concern has to do with sponsors, those companies that have made the products that they’re giving away available. They don’t want them to be overshadowed by the outlaw. Oh yes, the stranger, Wil Spencer didn’t say that his MMS was the same MMS that the FDA now says to stay away from. To make their point, the GCBD “prompted” Arnesen, 33, who has become a prominent spokesperson for the plight of Gulf Coast residents whose homes, lives, and livelihoods have been decimated by the catastrophe, to denounce MMS. However, that didn’t really happen. She slammed the stranger, but his method, which included MMS, actually helped her to feel much better. This was after using the GCBD products and not achieving similar results. Dupre didn’t write it. Arnesen told that to me directly in a recorded telephone conversation. Taking this convenient time to side with the FDA, the GCBD are using every possible ploy to dissuade the public, in spite of the fact that the methods presented by Wil Spencer (www.bodyelectrician.com) actually work. You won’t hear the GCBD’s tell you that Wil Spencer’s method, which included MMS, actually helped Arnesen achieve relief from the Volatile Organic Compounds (VOC’s) that she and her family, along with thousands of Gulf Coast residents, have been exposed to in unprecedented levels. His “sin” was in calling it Advanced Oxygen Therapy. The GCBD convinced Arnesen that she had been lied to by Spencer, and that his approach, particularly the MMS/AOT was bogus, even though her actual experience suggested otherwise. Yet, it was easy to show the appearance of deception, given the warnings against MMS issued by the FDA, the negative characterizations of it being “bleach” and juxtaposing the chemical properties of chlorination with that of chlorine dioxide. So intent are the detractors against an objective look at MMS that they leave no room in their minds to see how chlorine dioxide use could actually help the people they appear so concerned about. 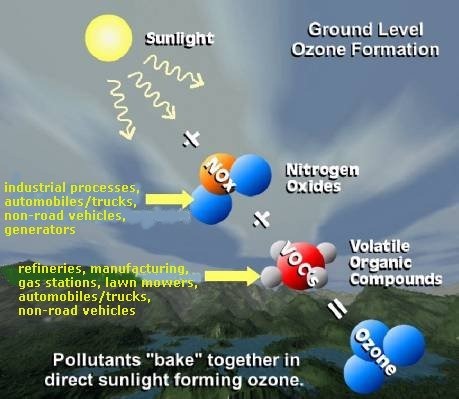 This is not simply a problem of too much ozone. 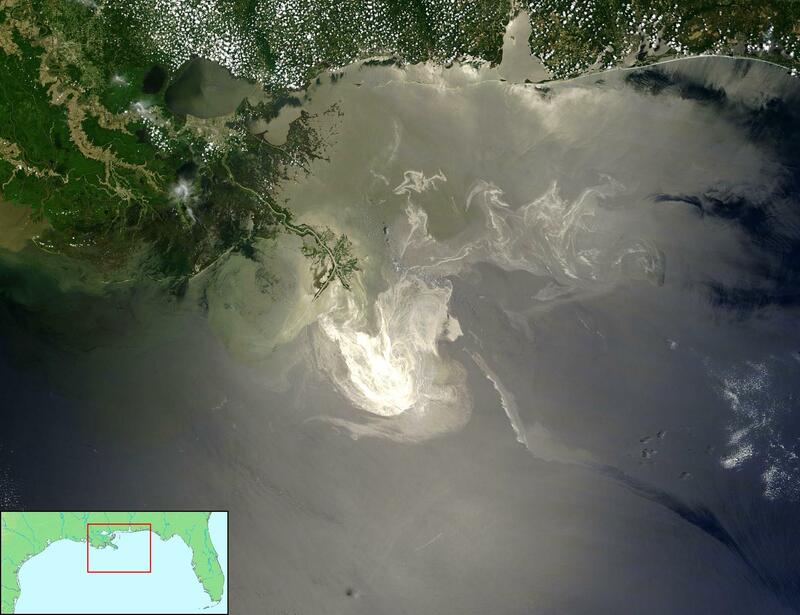 It’s the pollution that we’re used to, with an unhealthy dose of Corexit and the derivative chemicals that are introduced to the atmosphere via evaporation from the Gulf, and ushered in via trade winds. Taken in with each breath, these chemical compounds combine with an existing chemical soup inside the human body, which includes various residual products of chlorination, to eventually ignite a microbial revolution that, in mild cases, can look like the picture to the left. Using the FDA’s warning on MMS to bash one element of his method, the GCBD characterized Wil Spencer as a deceptive opportunist who came packing snake oil to prey on the poor people of the Gulf. Wanting to get a better picture from the source, I contacted Wil Spencer to see if he would talk with me about this, which he consented to do. He explained to me that he grew up on a family farm in Northern Minnesota. His father sold the 3,000 acre farm to a corporation and became its manager, to which pesticide spraying became part of the growing practice. It was after this that he observed and experienced the health effects of chemical exposure and learned how to mitigate them. 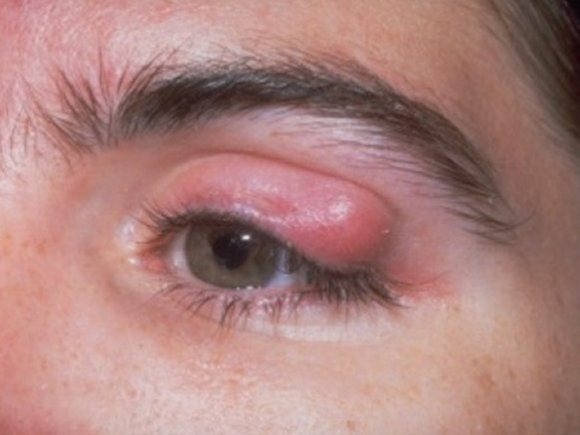 Seeing the situation in the Gulf as a more acute version of what he experienced, he contacted Kindra Arnesen, whose husband had developed double ear and upper respiratory infections, while she developed rashes and a stye-like, ulcerated eye infection (which eventually ruptured). Puss erupting breakouts also spread from her eyes to her face, neck, chest, back and shoulder. Regular doctors told her that it was just heat rash, and no big deal. Upping her cleansing regimen to two baths daily did nothing to help. This is understandable because, if we assume that her water source has been treated with chlorine (not chlorine dioxide), she would be increasing the levels of THM’s (trihalomethenes) in her body. Combined with the elevated VOC levels, taking more frequent baths would mean simply throwing fuel on an already raging toxic fire. BTW, activating some MMS at a ratio of 3 drops per gallon of water, would have inactivated the active chemical contaminants in the water, thereby lowering her exposure. Kindra informed me that in late July (2010), a huge knot appeared along the back of her leg, and within three days, it had become a cluster of 27. With these developments she began to feel extremely ill and weak. To combat these developments, she began taking Epsom salt and baking soda baths, three times daily for ten days. 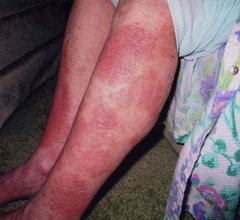 While she experienced some relief, the rashes quickly returned, indicating that the contaminants hadn’t been eliminated sufficiently enough for her immune system to maintain itself. It was in late September, when she broke out with a new ulcerated sore on her hip and learned some of the effects of the prescription, that she was first approached by Wil Spencer. Knowledge gained from his experience with VOC’s on the farm made his approach credible to Arnesen. Having done some research by this time and knowing that a detox was in order, she replied to his email and they began a dialogue. Like many who hear of MMS, Wil Spencer was first introduced to MMS by someone whose judgment he trusted. It became part of a multifaceted response to chemical toxicity, which can be loosely divided into detoxification, and microbial replenishment. Nutritional supplementation is another important component, given that most foods that we consume are not really food, if nutritional bioavailability is a criteria. Wil’s approach appealed to Kindra because it was not only product-based. He asked her questions so as to understand what she was experiencing, and provided support while she went through the process. Clearly, signs of a charlatan. According to Spencer, Kindra’s outbreaks began to abate in about 10 days. According to Kindra, who I spoke to yesterday, they didn’t return. She feels much better. That might make for a wonderful story, except that it has become muddled in mudslinging by the now offended Gulf Coast Barefoot Doctors, and Deborah Dupre, their journalistic whip. Overlooked is the fact that Kindra Arnesen, by her own admission, feels much better after following Wil Spencer’s MMS and microbial replenishment approach; a relief that she was unable to achieve or sustain with the GCBD products. Unlike Ms. Dupre, you’re not going to hear me slam the GCBD products here. They are excellent, and do what the proponents say that they can. However, this is an unprecedented situation, and the toxication is ongoing, 24 hours a day. Even while we sleep, we still breathe, and the skin continues its respiration activities. Airborne contaminants are constantly being taken in. If they are not reduced significantly, the body fights a losing battle, when the processed chemical influx is greater than its capacity to naturally produce its own protective chemistry. In this situation, water is why MMS/chlorine dioxide is able to deliver such striking results. With regard to health, water is what we make of it, and health is what we make of water. We cannot be, or sustain health, with sick water. On the other hand, when water healthy, or its health has been restored, it can quickly rectify many prior “sins.” Water’s ability to access and permeate every part of the body, carrying oxygen (O2) it has been supplemented with, is what makes it a perfect complement to denser materials. Like no other substance, water can “inform” the cells of a change with the greatest of speed. Kindra Arnesen is torn. Whereas she would naturally have wanted to share her very positive news to the hundreds of thousands of people in her community who are, and most likely will be facing the same health problems, she has been mum because Wil Spencer didn’t introduce his phase one product as MMS. He called it Advanced Oxygen Therapy. She has been led to believe that she was lied to, and she was. Wil Spencer told her that MMS was Advance Oxygen Therapy. However, the Gulf Coast Barefoot Doctors told her that it was dangerous. Her experience shows that Wil’s approach helped her, irrespective of FDA insistence to the contrary, and the GCBD’s approach was not effective enough. Spencer also explained to me that he had been a customer of PGL International (now defunct), the company that the FDA targeted in its smear campaign. For several months, all of PGL’s product inventory was frozen. The FDA tried (unsuccessfully) to get them to destroy it. For an extended time, however, they could not fulfill orders. Desiring to deliver product to a number of clients using MMS – which is what he called it – he took the initiative to buy Jim Humble’s book, learned how it is made, and then retained a lab to produce it himself. It was then that he gave it a more scientifically descriptive name. Nonetheless, someone at a webinar that Spencer put on for Gulf Coast residents recognized the materials that he described as being the same as MMS and, with the FDA having put the product on its own “sh*t” list, surmised that Spencer was deceiving Kindra (and all Gulf Coast residents), simply giving offering bleach, or “pool shock.” Results became irrelevant. Offense and indignation overshadowed what should have been a great moment of truth and hope for the Gulf community. Kindra told me that she received quite a bit of heat for being open to MMS. However, she didn’t endorse the GCBD’s product. Even though she used it diligently, the results were moderate at best, and did not last. The outbreaks would temporarily abate, then return with a vengeance. She told me that her issue with Wil Spencer is not his product; she was convinced that she had been lied to, with the inference being that it was deliberate. She said that she wished he had presented the whole story about MMS up front, instead of her having to hear the very worse characterizations of it from people in her community. It was like being cold cocked from behind. The story isn’t done. I talked with Kindra again briefly today, and she reaffirmed her willingness to discuss the matter further. Wil Spencer also informed me that GCBD isn’t the only group in the Gulf seeking to help people, and not everyone is against MMS. Ms. Dupre is leaving no yellow journalistic stone unturned in an attempt to tie the use of MMS to the subplot that is the Genesis II Church of Health and Healing that Jim Humble founded, suggesting the smell of cult-like characteristics among proponents. The existence of a church is just that, a subplot that has no relevance as to whether the internal human intake of chlorine dioxide, whether called MMS or AOT, is beneficial. Given the long list of chemicals that the public is exposed to, both voluntarily and involuntarily, the only real question that anyone should be asked is whether this new application has any merit. The public who has used MMS is saying that it does. Dupre also said that news of Arnesen’s MMS use, “rather than safe and effective products sent to her,” spread quickly via Facebook. If Ms. Dupré’s characterization of MMS and chlorine dioxide were correct, Kindra Arnesen’s results would have confirmed it. Being a supporter of many, if not all of the products that the Gulf Coast Barefoot Doctors are promoting, a very large issue is being overlooked. It is that results ultimately speak louder than claims, and truth will ultimately prevail over innuendo. By whatever name, Kindra Arnesen got the relief that she sought as a result of using Wil Spencer’s products, which included a rebranded MMS, which in effect is an effective oxygen therapy. Perhaps I should call it EOT. Kindra is torn because she was convinced that she was deceived, yet, she KNOWS she was helped. Given her passion for the truth, I can’t imagine that she won’t eventually tell it. 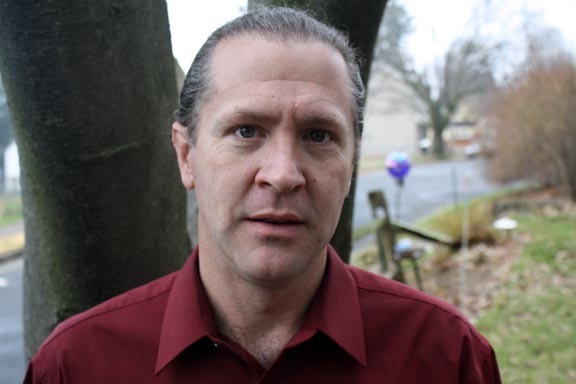 On my show this week, you can listen to part 1 of my conversation with Wil Spencer. In the latter portion of the show, I speak with another MMS user, David Gonzales, who is successfully using MMS to abate Hepatitis C. In a day of many related phone conversations, he called in to ask whether there was a Spanish audio track on my MMS documentary (yes). As we were about done, he told me of his experience with his regular doctor and MMS on Hep C. He chose to use MMS after a disagreeable bout with interferon. In March, 2010, he had a HCV (viral load) count of 125,435 i.u./mL. He began taking MMS in June 2010. By August 26, it was 32,427, a 74% decline. I was pleased when he allowed me to record in his own words. This is the same show on video, in its entirety. Adam, thanks again for your diligent work sorting out the confusion around claims for and against MMS and chlorine dioxide. It has been refreshing and consoling to see you bringing clarity into the increasingly heated and emotionally pointed propaganda against the unique properties of the chlorine dioxide molecule as used to detoxify the body. The author’s name is Martin Robbins, writing for the Guardian.co.uk as “The Lay Scientist.” In his articles, one specifically on Humble and the Rhys Morgan flap regarding a message board for Crohn’s Disease (including an interesting comment section with posts from the 15 year-old Morgan), and the other on a crusade against MMS last September in Kenya. In addition, for support for his claims, Robbins links to a blogger called noodlemaz at: http://bit.ly/8YVZeW – where the blogger deconstructs an interview with Jim Humble by holding him up to ridicule. The blogger is apparently a scientist: “I have a biochemistry/genetics degree; he (Humble) does not. His work has never involved biology or chemistry, he was a gold prospector. I’d be interested to verify that he ever went anywhere near the space program, too,” and attacks Humble’s expertise on many fronts. This isn’t that difficult to do. Jim likes to talk and has an unguarded conversational style that frequently seems stream-of-consciousness. The reason for my comment here is how I’ve been feeling while following the ongoing campaign to discredit the simple chemistry of MMS and to make ad-hominem attacks on its users and supporters. What I’ve found dismaying is the tone of such deconstructions, the distortion of language, the casting of anyone who disagrees with the control of human health by “experts” as being enemies, “the others,” against whom no sanctions can be too severe because of the ways we (like Al Quaeda) endanger the masses of “Good Germans.” Then there are the Goebbels-like repetitions, things like how MMS is “industrial bleach,” lies about the chemistry, how it permanently changes the hemoglobin molecules so they won’t carry oxygen, how activated and diluted MMS burns tissue, how anyone who considers using MMS is not only criminally mislead but is doomed. It reminds me of the campaign in the US press against Wilhelm Reich in the early 50’s, before the great scientist was sent to die in US Federal Prison and his books were burned. I’m going to be writing more about how this accelerating witch-hunt reflects the ways in which we tend to think about ourselves and the world, as, from my view, our habitual sense of separation from life is becoming more and more defended and leading to ever-greater insanities. In the mean time, those of us holding out for some common sense must watch our reactivity, and have a level of compassion for those who are mechanically locked in a struggle to get “authorities” to deny informed and consenting people the use of natural substances as we have the unalienable right to chose. Bruce you are not the first, last or only person being disgusted with the way some of those AAMF’s are running their campain against MMS and Jim. I have been listening to that program were Jim was invited to and also to how they afterwars tried to make a fool of him. Their witchhunt does not stop from abusive language and bullying and I have been complaining about this several times, so far as to block such participarts if posssible. I just did not want to read their repeated opinions and abuses anymore, which they love to force onto us, trying to top us from sharing our experiences. @rhysmorgan to be fair to Jim, he didn’t kill an old lady to cover up his other murders. Not that feeding people bleach is much better. Just to give you an idea what crap some people/kids write. I said it ones before and I say it again: you are a STAR! The way you take the ‘BULLS’ by their horn and tackel all reports head-on, to find out what has been said and done and has been reported oder hushed up is nothing less of amazing.